The next three posts are part of a series to share my experiences as a life coach. I am forever grateful to Christy Whitman, founder of Quantum Success Coaching Academy, for following her heart and creating such a transformative coaching course. Funny thing, how life is. Especially when we open ourselves to paths that reveal themselves unexpectedly. Right when we think we know what we’re doing, we learn (as Paul Harvey would say) the rest of the story. Learning to wait for the rest of the story enabled me learn so much more about myself and others. Now I wait with great anticipation for what’s next and because of waiting and being open to what presents itself, I chose to follow a path I had not anticipated —that of a life coach. Now, four years later, I’m sharing ten of the most important lessons I’ve learned while coaching others. All the answers lie within — it’s part of our birthright, being born of the divine. When we turn inward seeking answers, the spark of divine within us connects us to a higher source for the answers we seek. The past is not where I need to focus my attention. The power in creating a happy, fulfilling, empowered life is to focus on the future. The Achilles’ heel in this simple life strategy is that we fall into “gap mentality” where all we see is the gap between where we are now and where we long to be. Once that mindset is recognized and repaired, the future is all that matters. Thoughts create feelings which, in turn, influence our behavior. Think about it. You can feel happy as a lark one minute but then begin to think that someone doesn’t like you, which makes you feel yucky, which then leads you to walk away. When maybe the other person was simply distracted or was dealing with their negative thoughts about being ill-received. Bottom line, think positively about every situation. Practice positive intent. You’ll immediately feel better about yourself and the situation. We are spiritual beings having a human experience. And, it takes a lot of practice to be our best human! Life is a process. One where we learn as we go. We figure out what to do by making mistakes along the way. And that’s okay. That’s life. Be gentle with yourself by allowing space for the hardship because that’s where a lot of the learning takes place. As a coach, I am forever amazed at how similar we all are. It seems we all want the same things in life: to feel happy, loved, and to know that we are making a difference in the world. In the big scheme of things, we are all seekers walking through this life as an individual and as a collective consciousness. As Oprah says, “The more you praise and celebrate your life, the more there is to celebrate.” Practicing gratitude is one of the fastest tools for shifting client’s emotions to a higher vibration. All it takes is just a moment to look around and consider all the things for which you can be grateful. When you mindfully and passionately practice gratitude, you are rewarded with even more of what you appreciate. Through gratitude, miracles truly do occur. If you use the analogy of humans as vessels filled with water, then you can only pour yourselves out for others so long until you run out of water. If all you do is serve others, care for others, give to others, consider others, support others… then what remains for you? It is not selfish to ensure that you are taking care of you first because from that place of fullness, you are better able to provide for others. Stand that vessel up and hit the refill button! American writer Robert Collier once said, “Visualize this thing that you want, see it, feel it, believe in it. Make your mental blue print, and begin to build.” There is great wisdom is those words because in your visualizing it, you are connecting to pure potentiality. When you visualize something you desire, your thoughts shift, your feelings move into alignment with the desire, and you instinctively know what to do and say to make your way, one step at a time, toward your destiny. I have long rebuffed the concept of “only one path” for representing ridiculously limited thinking. Coaching confirms for me that there are, in fact, many ways to happiness, many paths to success, many doors of opportunity to create the life of your dreams. Imagine being in the desert with no nearby city lights to block your view of the night sky. All those stars you see when you look up represent the abundance of paths you can take in life. Which one will you choose? That should be entirely up to you; not influenced by what anyone else wants for you. Going through the QSCA was the one of the most transformational choices I’ve made because it locked in many of my long-held beliefs. When I first enrolled into QSCA, I had no intention of becoming a life coach. My goal was to give myself the tools I needed to make a huge life change. What I learned in the process is how much I genuinely enjoyed motivating others and how easy it was for me to connect. In the end, not only did I make a major life transformation that I had been putting off for years, I also found a meaningful way to make a positive difference in the life of others. Whether you are looking for personal transformation or you are interested in a coaching career, I whole-heartedly recommend Christy Whitman’s QSCA. She only offers open enrollment twice annually, and the doors will be opening in just a couple of weeks. As a mentor to new students who join the academy, I always tell them how transformational the course is. I’ve yet to have a coach come out the other side of the program to disagree. Just a little curious about life coaching? Click any of the links in this post to watch five free training videos that Christy created to help you build a thriving coaching business. 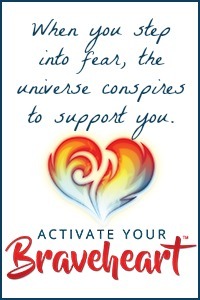 I am an affiliate of Christy Whitman International and happily recommend her coaching course. QSCA helped transform my life and gave me the tools I needed to make a positive difference in the lives of others! No worries, you don’t have to purchase anything to benefit from Christy’s five free videos. Enjoy!